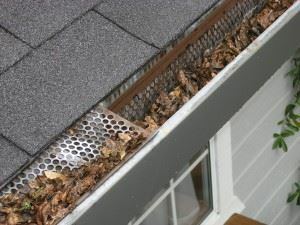 Speaking of leaves, it won’t be long before they start falling into your rain gutters. If you have it cleaned you got her since last fall, then you might want to give them a quick clean. You should definitely be on the lookout for nests and debris that has accumulated over the summer. It also might be a good idea to run a water hose from the top of your rain gutters through the spouts to check the flow. This is not something you want to take care of in the middle of a rainstorm. Temperatures to start dropping and that means you will be opening the windows and doors quite as often. It’s time to swap out the screens and put in your storm windows. While you are busy with that check for any break in the caulk or seals around your doors and windows. Replace if needed. You need to drain your garden hoses completely and disconnect them from outside’s pickets. It’s a good idea to shut off exterior faucets especially if you have an older home. Put those hoses inside in a dry place where any residual water won’t freeze. If you have an irrigation system that is keeping your lawns green then you’ll want them to be drained and checked by a professional landscaping company. It’s also a good idea to mark the sprinkler heads if they fall between any potential snow removal areas. You don’t want them to get banged up with the shovel or snowblower. If you have trees on your property, then you need to check them for damage limbs that might break. If they’ve grown close to power lines, then you should call in the power company to get them trimmed. That is not a job you want to do yourself. It’s also a good idea to get rid of rubbish from your yard and garage. That’s where a call to Junk King Minneapolis can make a huge difference. These junk removal experts can easily haul away all your yard debris and unwanted clutter. It would be great if you could park your car inside the garage again instead of using it as a storage unit. Junk King Minneapolis is the perfect partner to help you get your home ready for fall. This entry was posted in Minneapolis Junk Removal and tagged fall, home, leaves, rubbish on August 28, 2017 by Junk King. Last updated August 28, 2017 .